In need of a quick yet fancy-ish meal for dinner? Try these sun-dried tomato and mozzarella paninis with homemade pesto. They are colorful and bursting with flavor. Can't beat that combination. When it comes to easy dinners, one of my go-to meals is the panini sandwich. 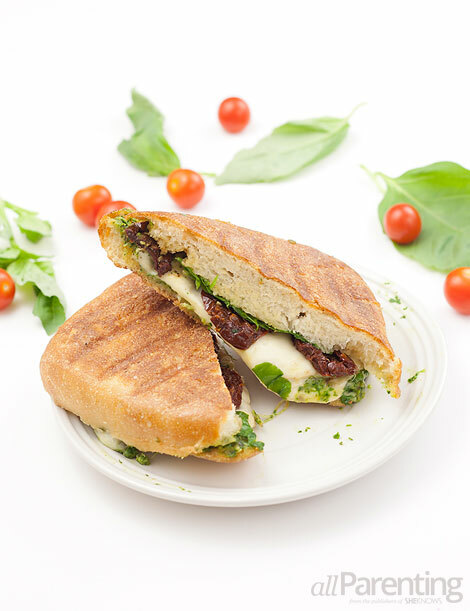 I love this particular vegetarian panini because it includes arugula in both the pesto and the sandwich so the family gets some greens without eating a salad. 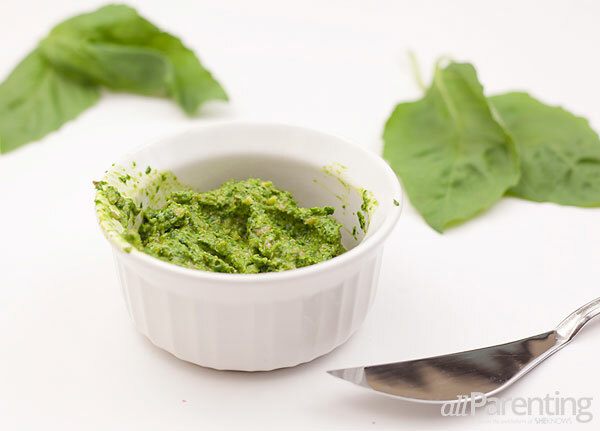 If needed, the pesto can be made ahead of time. It will keep in the fridge for one to two days, or in the freezer for longer (but then you'll have to remember to take it out to defrost before making dinner). Add pine nuts, garlic, arugula, basil, olive oil and lemon juice to a food processor and blend until smooth. Season with salt to taste. If pesto is too thick, add water to achieve desired consistency. Preheat a panini press (if you don't have a panini press, a George Foreman grill will also work). Spread pine nut pesto on the bottom layer of each ciabatta roll. Top with fresh mozzarella, sun-dried tomatoes and arugula and put the top of the roll on the sandwich. Brush each top with olive oil and place on the panini press (this may need to be done in 2 batches). Grill until the bread is toasted and the cheese is melted. Remove from grill, cut the sandwiches in half and serve.